Homes for Sale in Saratoga Springs! I'm am a local REALTOR and specialize in your local community in Saratoga Springs. I know your local home market, and am an expert in marketing your home, or helping you negotiate a home you're buying. Call me today and let me save you a lot of time, money, and frustration in the process of selling or buying your next home! View current homes for sale in Saratoga Springs below, or click on Search above to look in other areas. 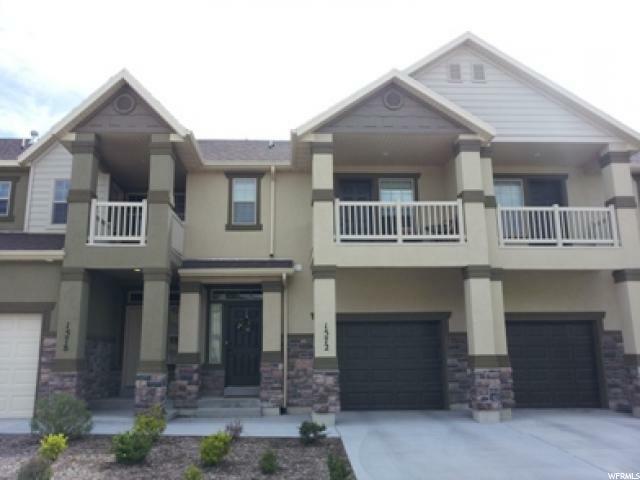 "This beautiful, condo is located in the highly desirable Hillcrest HOA. Enjoy the upgraded cupboards as well as tile floor in the kitchen. Carpet is less that 2 years old. and has recently been painted. Right off of Redwood Road. 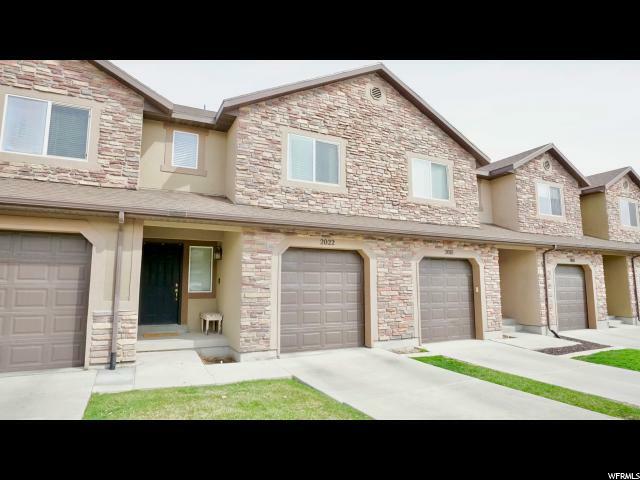 Quick access to Walmart and Smith's with the ability to get to south Utah County and Salt Lake County very quickly. Buyer and Buyer's agent to verify all information"
"This main floor condo in a convenient and central location is a must see! 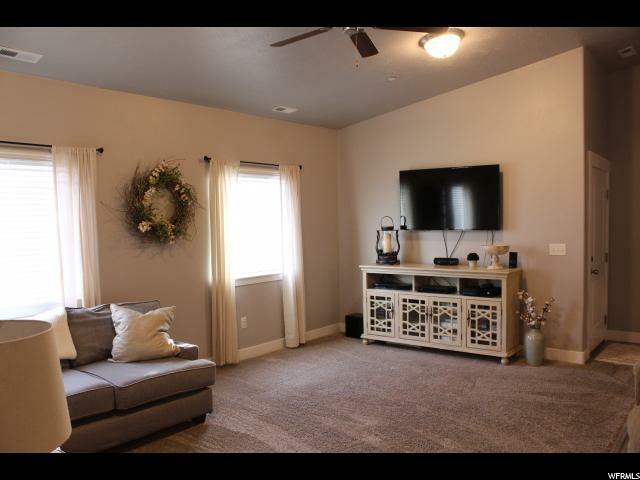 The unit features large bedrooms, 3 tone paint, granite countertops, patio, a separate locking storage space and a one car garage to give you plenty of room for all your storage needs. Located next to the clubhouse and playground in this great neighborhood with plenty of visitor parking next to the building, make this your home today." "Multiple offers, highest and best due by 4/12/19. Terrific Daybreak at Harvest Hills condo. Detached one car garage for parking or storage. Beautiful grounds and landscaping. New carpet, new paint and new LVP flooring. 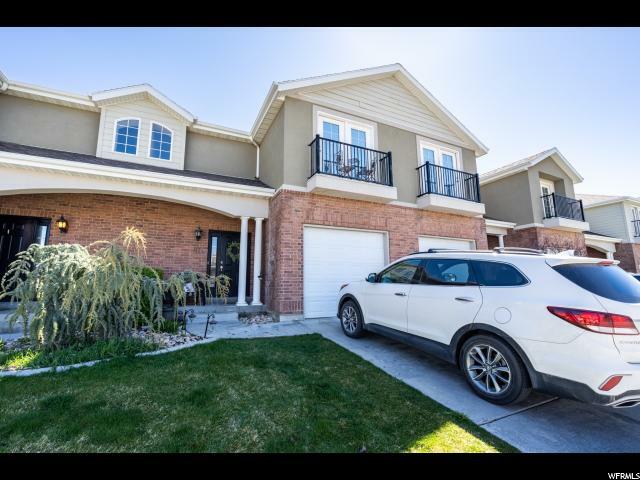 Location is tough to be with Convenient Access to SLC, Utah County, 1-15, Bangerter and Mtn View Corridor." 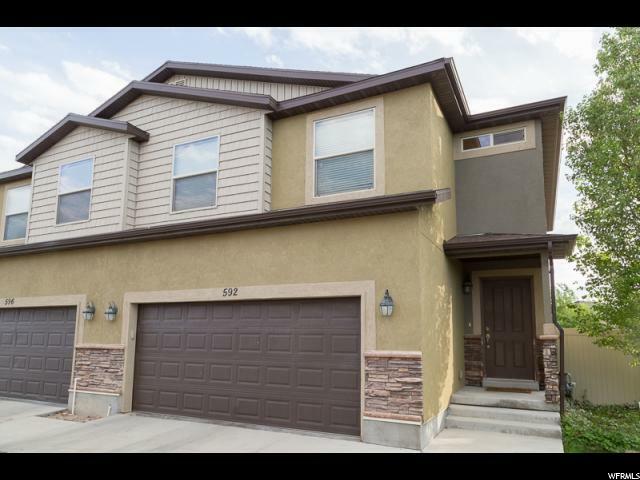 "This updated, clean, and open floor plan is located in the highly desirable Hillcrest Community. Middle level makes for affordable utilities! The HOA features pool, gym and parks. Located right off of Redwood Road. 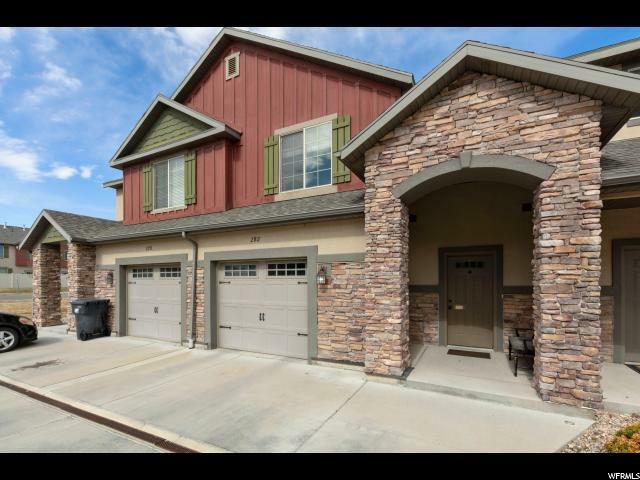 Quick access to Walmart and Smith's with the ability to get to south Utah County and Salt Lake County very quickly. Call Showing Service." 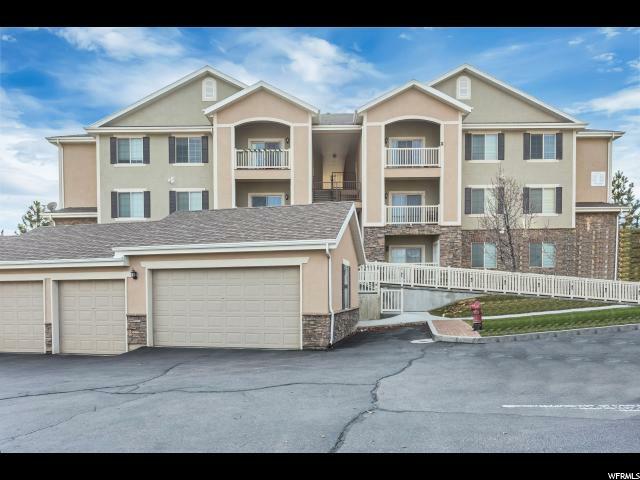 "HIGH DEMAND TOP LEVEL CONDO LOCATED IN THE HEART OF SARATOGA SPRING AT HILLCREST. 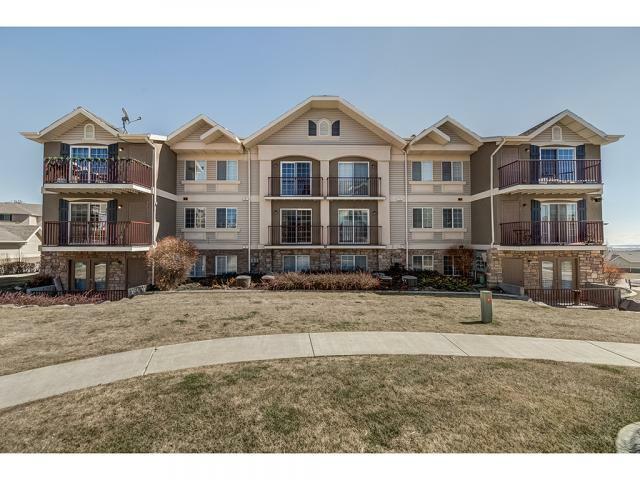 THIS SPACIOUS TOP LEVEL CONDO HAS FAULTED CEILINGS THAT ADDS COMFORT TO YOUR LIVING AREA. UPGRADES THROUGHOUT . HAS ITS OWN DETACHED GARAGE. HOA INCLUDES POOL CLUB HOUSE GYM AD PARK." "BACK ON THE MARKET (BUYERS FINANCING FAILED) CLEAN CLEAN This IS the one you've been looking for. Almost new ** New vinyl plank floors with lifetime guarantee, new paint, new range, new garbage disposal, new large single basin kitchen sink and the best BARN DOOR * MOVE IN READY. GROUND FLOOR CONDO IN HARVEST HILLS. Spacious Open Floor Plan. 3 Bedroom and 2 Full Bathrooms. Large Laundry Room. Nearby Playground and Splash Pad. HOA fee is $175/mo plus $35/mo for master HOA." "Buyers got Cold Feet and Backed out. Back on Market. No Showings TIL SATURDAY APRIL 20TH. 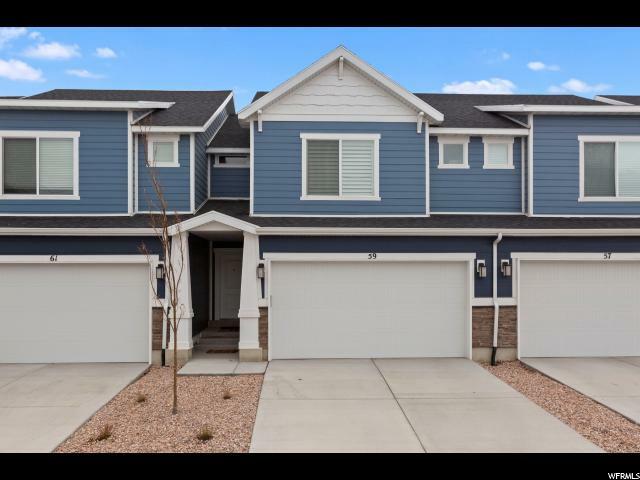 Beautiful townhome in Harvest Hills with convenient access to I-15, shopping, restaurants but is still tucked away from busy streets and commercial buildings. In excellent condition with new luxury carpet and premium vinyl wood and new baseboards. Stainless steel appliances. Majority of basement is finished. Good storage space in bedroom closets, basement and garage. House backups to the playground and located right next to the clubhouse & mailbox. More parks walking distance. Located in a great neighborhood with a lot of young families. This property will not last long. Schedule your showing today. Salon chair and sink excluded. Square footage figures are provided as a courtesy estimate only and were obtained from county records. Buyer is advised to obtain an independent measurement. " "Price Reduction! Great home in a beautiful location! For investment or to own. Easy access to Redwood Rd. Open floor plan with vaulted ceilings. Additional parking and green space right next door. Seller motivated -- come take a look! " " This charming home has an open concept kitchen with three bedrooms, 3 bathrooms and room in the basement to grow. This spacious master bedroom features a master bath, walk in closet, and an outdoor balcony. This home is conveniently located near shopping, restaurants and entertainment. The HOA includes a gated splash pad, playground, picnic area, volleyball court and basketball court. Don't miss the opportunity to call this place home. Square footage figures are provided as a courtesy estimate only and were obtained from county records . Buyer is advised to obtain an independent measurement." 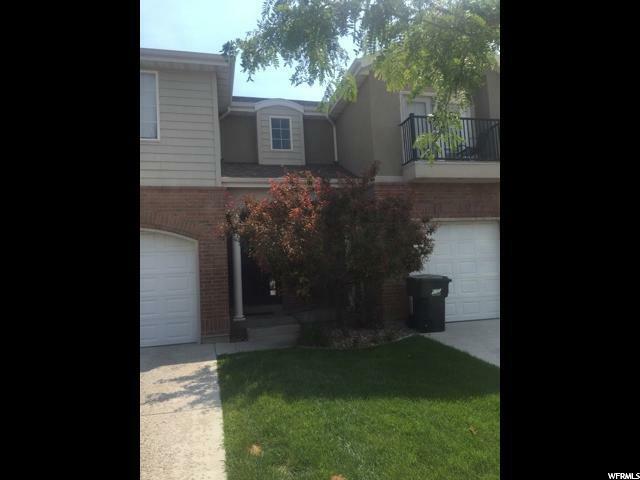 "Beautiful well-maintained townhome! Great open floor plan with spacious bedrooms - master has a walk-in closet and vaulted ceilings. Upgraded kitchen and bathrooms with granite countertops. Patio and fully fenced yard, which is hard to find with townhomes. Large upstairs laundry room near the bedrooms. 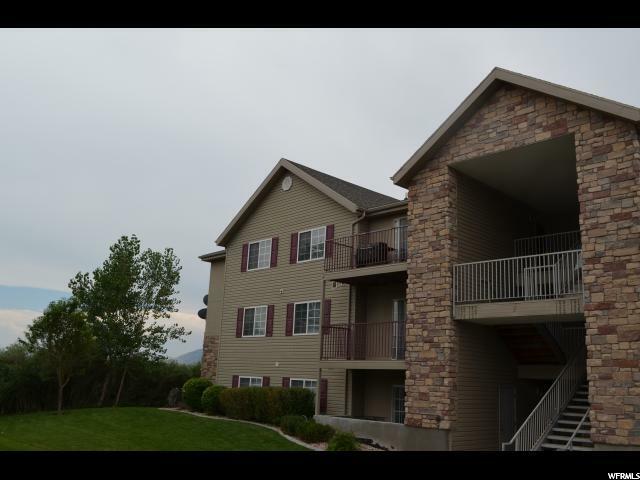 Easy access to shopping and grocery stores, and easy access I-15 or Redwood Road for commuting. Wonderful community with pool, park/playground, clubhouse, fitness room, and walking trails! Square footage figures are provided as a courtesy estimate only. Buyer is advised to obtain an independent measurement." "This spacious town home shows like it is brand new! Very well cared for home, ready to move in. 1548 square feet finished with 624 square feet in the basement as room to grow. Close to shopping, schools and easy access to major roads. This home is a must see and it will be gone quickly!" "Highly coveted townhome, 3 BDR, 2.5 BTH, in a quiet, tucked away neighborhood. 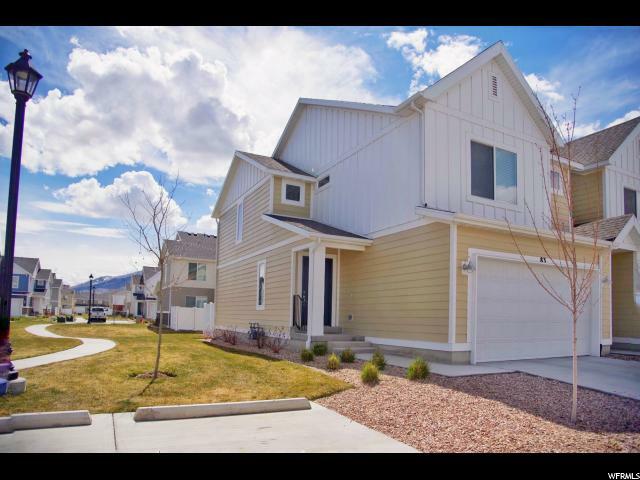 Close to Lehi, shopping, walking and biking trails, I-15, Trax and more. 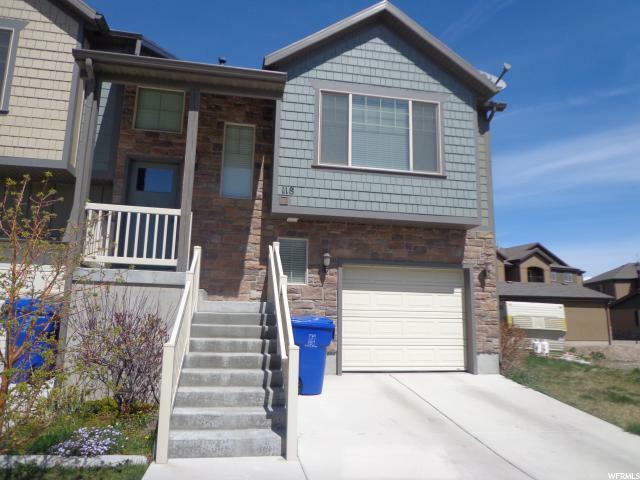 Open floor plan, lots of storage, pantry, granite and more upgrades. Ready to move in. " "SALE FAILED.. Located in the Highly Sought after Harvest Hills Neighborhood. Tucked in off the Street. NEW CARPET JUST INSTALLED! The Kitchen has a Large Pantry and Lots of Counter Space & Knotty Alder Cabinets. The Spacious Master Bedroom offers a Walk-in-Closet and Master Bath. Two Additional Bedrooms Upstairs with a Second Full Bathroom. Check out the Laundry Room and Cozy Loft Upstairs. The basement gives you room to grow. Fenced in yard with a High Privacy Vinyl Fence. Close to shopping, dining. " "BACK ON MARKET! SALE FAILED DUE TO FINANCING! Amazing town home in Saratoga Springs . Close distance to your shopping needs and to Redwood Road. 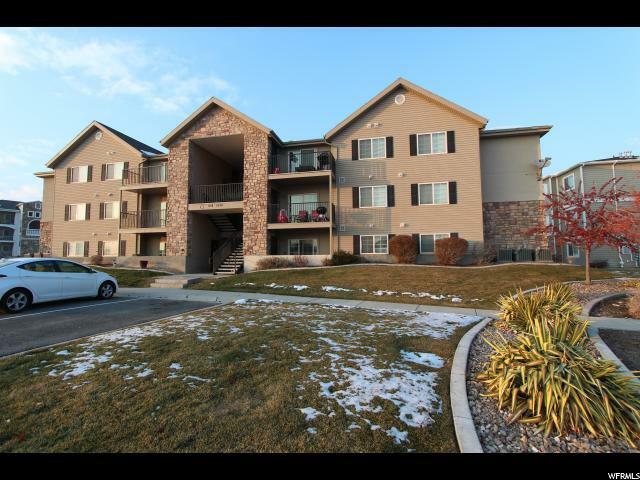 This unit has the space that you are looking for with its 4 bedrooms and 3.5 bathrooms. The basement is fully finished with a theater room that is wired for a projector and ready to go for your entertainment! You will love living in this quiet and spacious home. This home won't last long! " "Beautiful Fully Finished Town Home In The Heart Of Saratoga Springs. Complete w/All The Bells & Whistles. 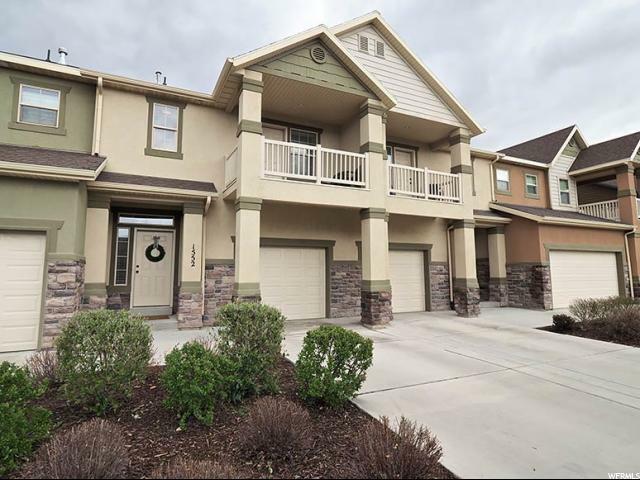 This Lovely Open Unit Has Two-toned Paint, High Ceilings, Can Lights, Lrg Kitchen w/ Staggered Cabinets & Granite Counter Tops, Connecting Great Room Is Beautiful W/Hand Scraped Hard Wood Flooring & Slider To Back Patio, Fully Fenced & Perfect For Outdoor Entertaining! You Will Love The Master Suite W/Double Sinks, Sep Tub/Shower & Walk-In Closet. Professionally Finished Basement w/Bedroom, Full Bath & Rec Room. W/ Amenities Including Clubhouse, Pool, Gym, Play Grounds Picnic Areas & Walking Trails You Have It All! Close To Schools, Freeway Access, Shopping & This Home Qualifies For 100% Rural Housing Too. Wow!" "Amazing location in the heart of Saratoga Springs, Tucked away in a quiet development, yet close proximity and walking distance to shopping, restaurants, and entertainment. Come and see this beautiful END unit on the corner lot with tons of windows and natural lighting. 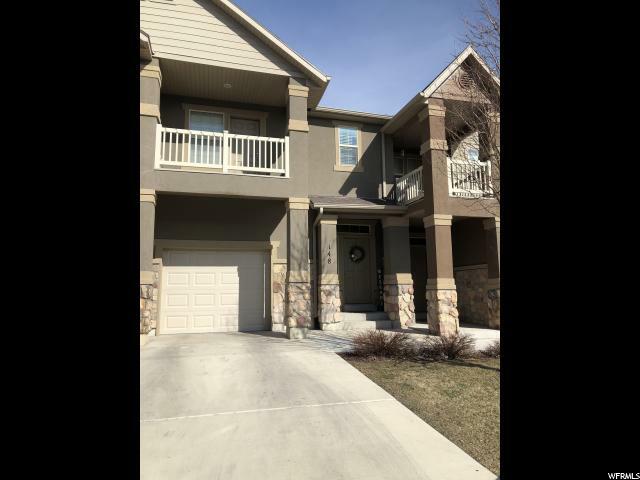 You will love the homes features and open floorplan, with updated appliances, an incredible master bedroom with French doors to an open master balcony, PLUS a fully finished basement with surround sound and bar. You don't want to miss it! This home won't last long come and take a look!!" 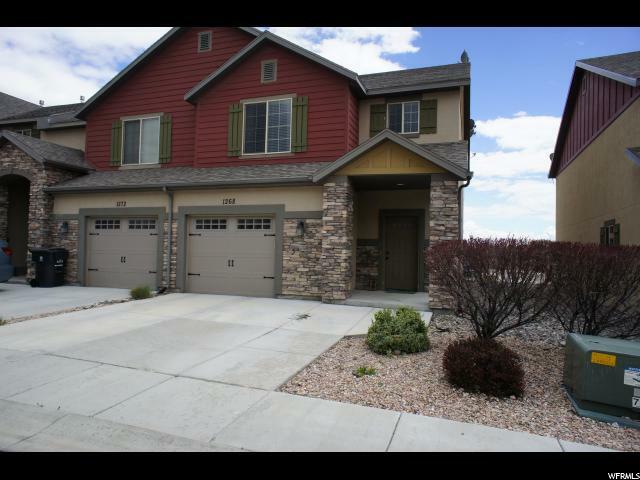 "Beautiful end-unit townhome in the heart of Legacy Farms, move-in ready! 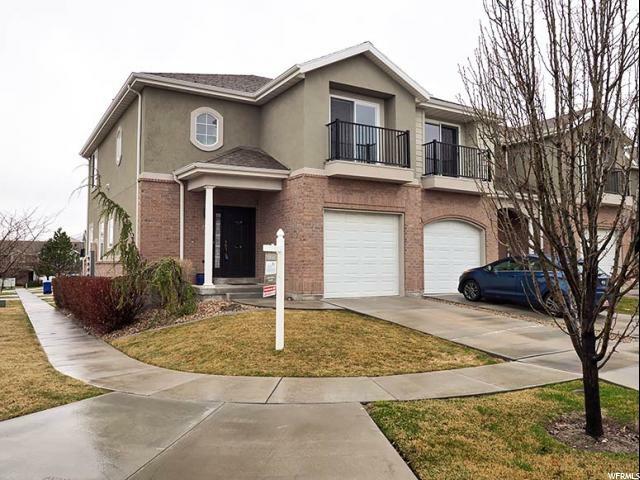 This home has been meticulously cared for and features granite countertops in the kitchen, quartz countertops in the bathrooms, and cordless blinds in the bedrooms. Potential for another bedroom/bathroom in the basement. The home has plenty of parking including an extra stall, and is close to the new city baseball park complex with the City Buildings and Library nearby going in soon. Don't miss out! " "OPEN HOUSE Saturday, April 13, 11 to 1. 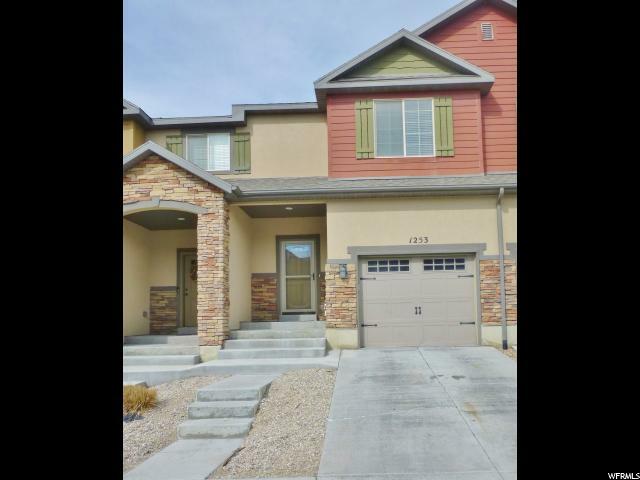 This beautiful 3 bedroom, 4 bath townhome situated in a prime location in Saratoga Springs with quick access to I-15. The spacious master bedroom comes with a master bath, walk in closet, and an outdoor balcony. Upstairs, there is a loft area that is perfect for an office area or another play area. 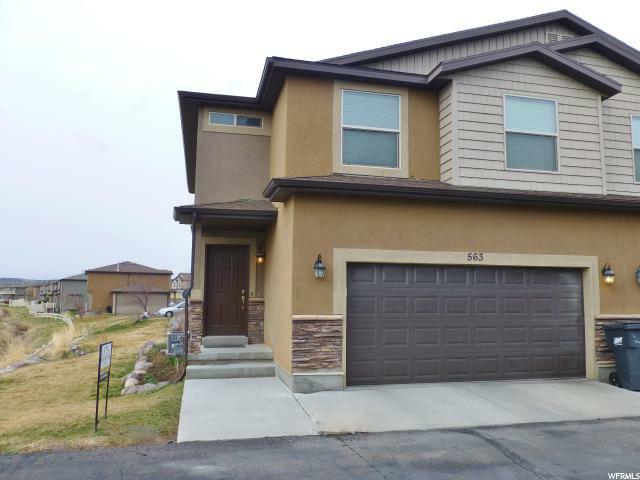 This home has a FULLY FINISHED BASEMENT with a large family room and a bathroom. Sellers are leaving the custom kid's toy cabinets in the basement and built in shelves in the garage. Refrigerator is negotiable. Square footage figures are provided as a courtesy estimate only. Buyer is advised to obtain an independent measurement." "This amazing property has many attractive features that set it apart such as the beautifully renovated master bath, the custom mud room/storage space just off of the garage (not available in other units), new appliances, and updated granite and quartz countertops. The inviting open concept between the kitchen, dining, and living room make it a great space for entertaining or lounging. Unique wall paneling in the bathrooms and laundry room are modern and attractive. Large windows and the charming upstairs balcony invite plenty of light and surrounding views. These, and many more qualities, make this home a great find!" 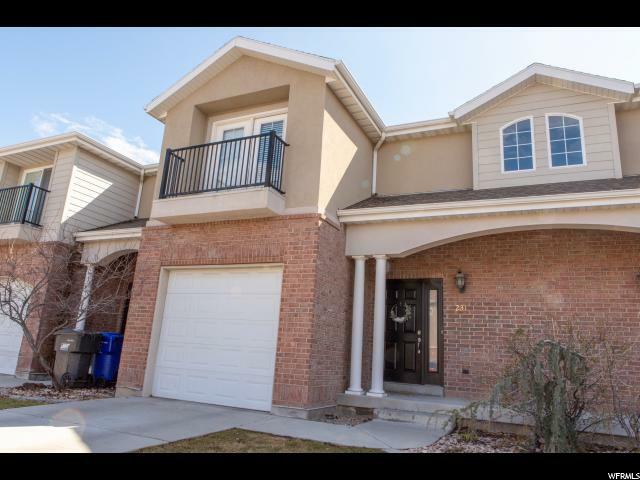 "Beautiful 3 bed 3.5 bath townhome located in North Saratoga Springs. Quick freeway access and right off Redwood Road and Bangerter Highway. Newly finished basement with full bath. Basement is currently being used as a family room, but qualifies as a bedroom. 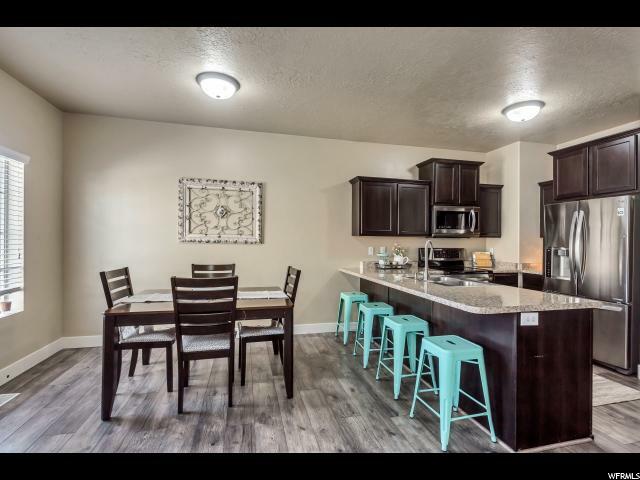 Beautiful finishes throughout, including granite countertops, tile and laminate flooring and modern paint colors. Brand new flooring on the main level. Small fenced backyard and no backyard neighbors, with unobstructed views! HOA covers all landscaping including backyard. Maintenance free living! Private community splash pad, parks and pavilion all maintained by the HOA." "Home discounted and move in ready! The McKinley home has a wonderfully open feel. White cabinets, granite and quartz counter tops, laminate flooring and upgraded carpet. Stainless steel appliances and gas range. Includes radon mitigation system & 95% efficient furnace. Legacy Farms is the master planned neighborhood in Saratoga Springs. A community ranging from town homes to luxury homes. Includes a community pool/clubhouse, walking trails, bike/skate features, parks and open space. Quick & convenient 7-mile drive to I-15. Please call or visit our model homes today for more information. *Photos: Home pictures are of the same floor plan from a different community. Actual home may differ in color/materials/options. 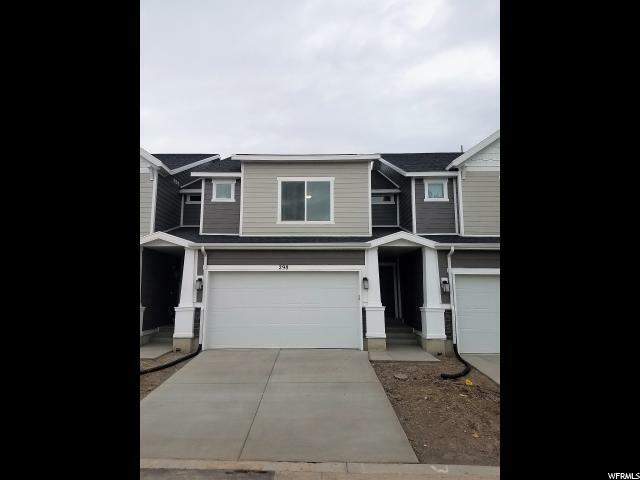 *"
"Nice townhome completed 10/2017. 3 bedrooms upstairs, Master with 2 walk-in closets and bath. 2nd is large with walk-in closet. Also 2nd bathroom and laundry. Main level has nice kitchen, family room and a large entry. Basement is partially finished with bathroom and shower. Intended as a theater room but could be a bedroom or family room. Includes most materials to finish including all bathroom fixtures. Nice 2 car garage with lots of shelves. HOA does yard work, provided pool, clubhouse. Square footage figures are provided as a courtesy estimate only. Buyer is advised to obtain an independent measurement." "Beautiful Twin Home Located In Harvest Hills On A Private Drive. You Will Love This Bright/Light & Open Floor Plan. Spacious Kitchen w/White Cabinets, Lrg Bar, All Black Appliances, Can Lights & Wood Laminate Flooring Throughout The Main Level. 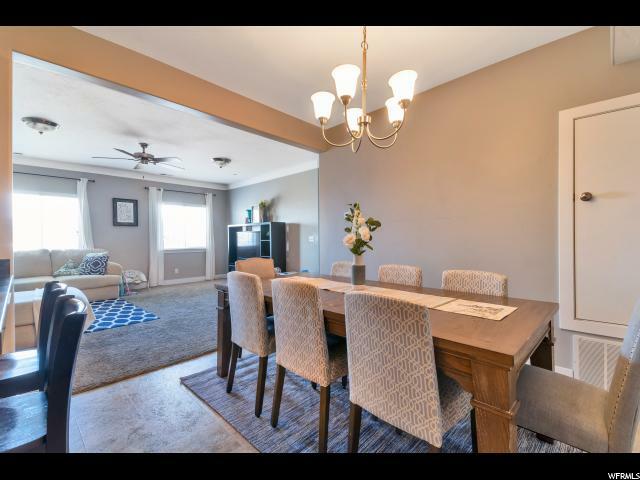 Connecting Dining Room & Great Room Make This Home Perfect For Family Gatherings. Second Floor Is Open & Inviting w/ Computer Nook, Master Suite w/Full Bath & Huge Walk-In Closet, Over-sized Laundry Room w/ Full Length Drying Rod Makes Even Doing Laundry A Breeze! Downstairs There Is Another Huge Family Room/Play Room, Lots Of Storage & Area Plumbed For Another Full Bath. With Miles & Miles Of Walking Trails, Parks & Playgrounds Around Every Corner, You Will Have It All! Close To Great Schools (Harvest Elementary Has Spanish Immersion Program), Amenities & Freeway Access. You Really Have To See This One! "